Cambria Washington: knitwear & patterns: Happy Day After Mother's Day! I'm not known for remembering to blog about milestones, or major holidays, or to take photos of work that I actually did manage to blog about so you can see what I've been fussing over. This week, I knit a super-cute hat for a friend's baby and finished that final X-mass stocking that I was working on forever. Then I proceeded to take it in to work without getting a photo :( Thankfully, the owner did not come to pick it up before I went into work on Friday so I did manage to get a few decent shots and I'll upload them just as soon as I can work out that whole computer-recognizing-the-camera thing. 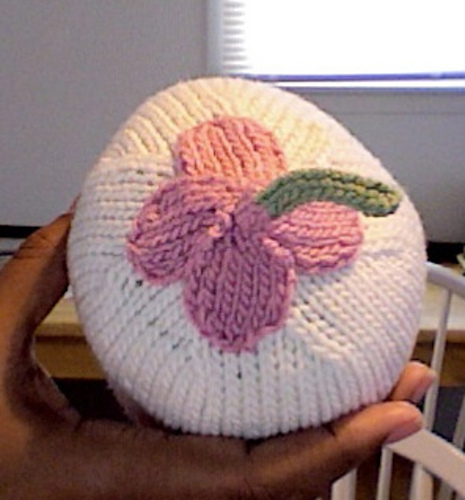 My friend got a quick picture of the baby in the hat and posted it online so I was able to add that to my Ravelry project page. 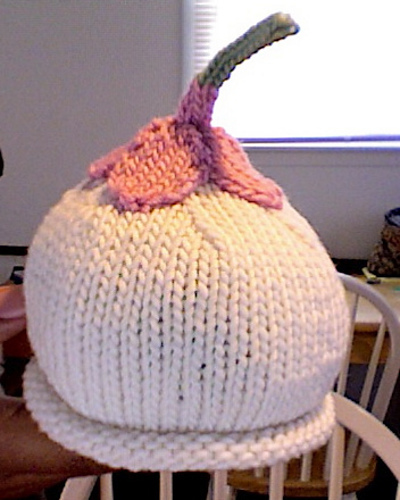 It looks much cuter with a tiny baby head inside (as opposed to a Zauberball). Meanwhile, I start school again on Wednesday. I just checked my grades for the last set of classes and I got a 97 and 98, so put another set of "A's" in the ledger :) These classes took everything I had, and I almost gave up and settled for a B, lol. Now I'm going to start the last classes of this degree, and then I'll have my first summer off in three years! I'm looking forward to it (and all the knitting I'll be able to do).